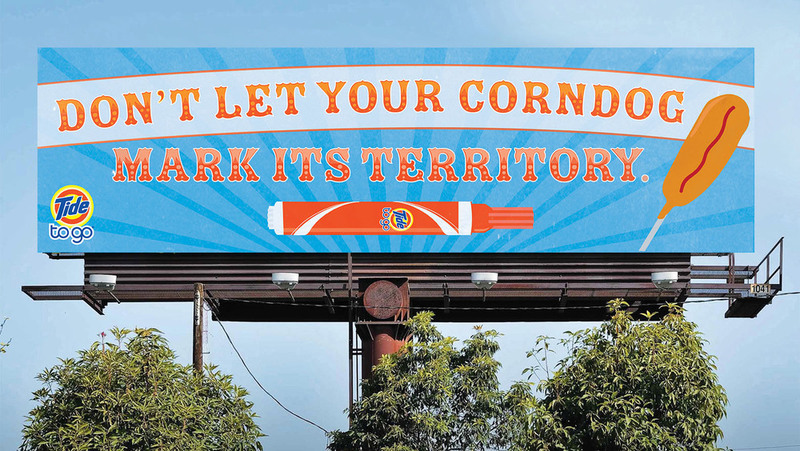 Billboard executions for the Minnesota State Fair & Tide to Go. It was positioned on the highway entering the grounds of the fair to create a relevant tie between the products and the viewers. 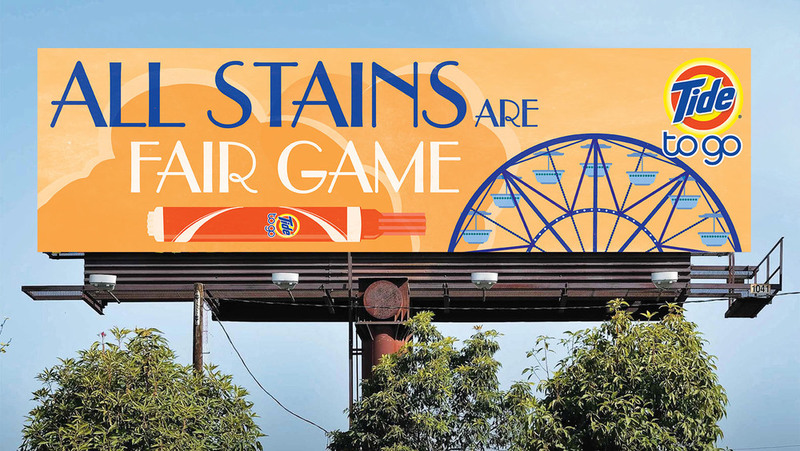 The billboards referenced the nostalgia associated with state fairs and how that is represented through vintage posters. Our idea was to make the product the hero replacing the tradtional "freak show" or "strong man" style posters. The final billboard was then translated into a FB social post to reach a larger audience. All original illustrations executed with Adobe Illustrator.